Cub Cadet Chipper Shredder CS 3310 is a 2-in-1 machine that allows you to efficiently transform tree debris into mulch, wood chips, or compost. With a powerful, 250 cc Briggs & Stratton OHV engine and two-way feed system, this chipper-shredder works quickly, saving you time as you clean your yard. 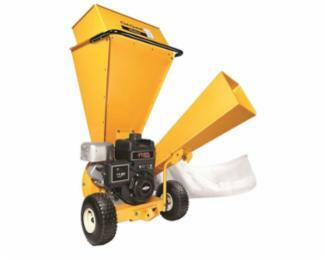 In addition, the CS 3310 is equipped with a large chipping capacity and handles branches up to 3 inches in diameter, so you can condense more material without frequent disposal breaks.